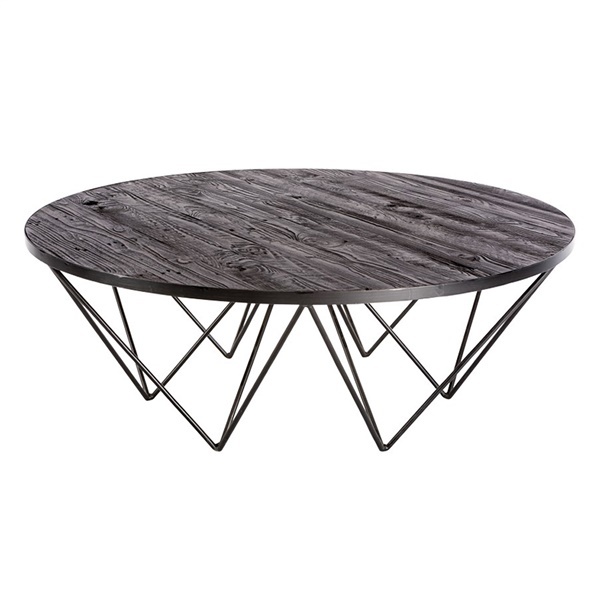 Combining rustic and industrial styling, the intriguing Ruffin Coffee Table will make a bold statement in your living space. The round tabletop is beautifully crafted from planks of recycled pine, making the table durable as well as eco-friendly. For increased appeal and durability, the spider-like iron legs present a unique design and distinctive look. A great enhancement in your living or family room, this coffee table will complement a variety of decors. Pair with the Ruffin Console Table and End Table for a complete look.